We'd like to help to ensure it's your most satisfying investment as well. What is NACHI's Home Buyback Guarantee? See below! Every Report Details a Thorough, Certified Inspection, Including Infrared Thermal Photography. 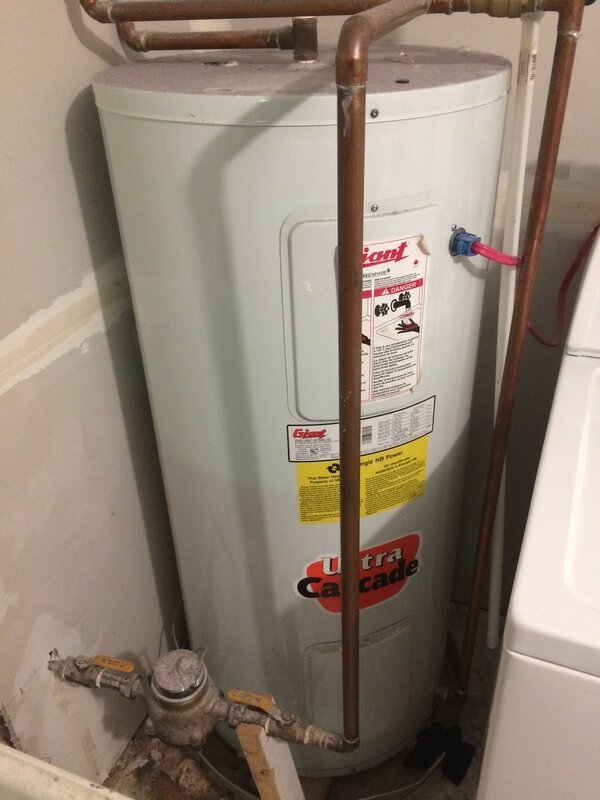 A properly installed water heater working without any apparent defect. This is the same water heater. Now we can see the heat signatures of the hot water and heating elements are where we'd expect them to be: Again, it looks to be without defect. The thermal image helps further verify the water heater as problem free. This breaker panel is sufficient for the needs of the household. However, with multiple ages and types of wiring, an electrician should be brought in to verify the system. Our infrared thermal image immediately identifies a problem. Wiring on the lower right hand side of the panel is physically hot. An electrician is needed immediately to investigate this safety issue. This oil furnace is being inspected mid-summer. It looks to be in good shape: we do want to verify that while the pilot flame is on, it's not throwing heat beyond the pilot housing. Here we can see in our thermal image that the pilot flame exists but contained. Important for a device that sits idle but ready for many months. Complete Home (Exterior and Interior) Thermal Inspections are also available.